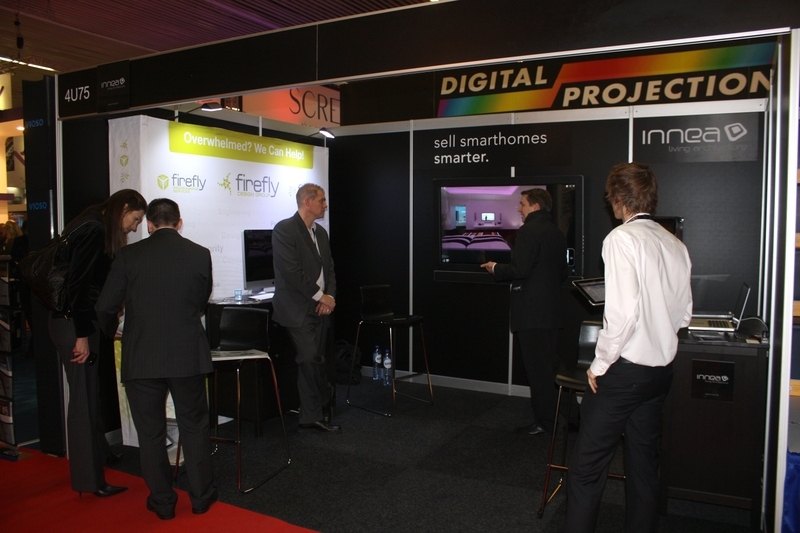 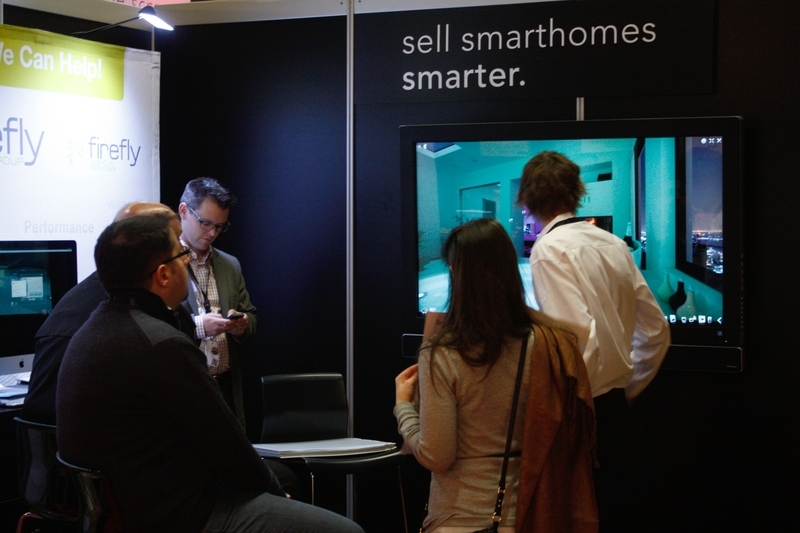 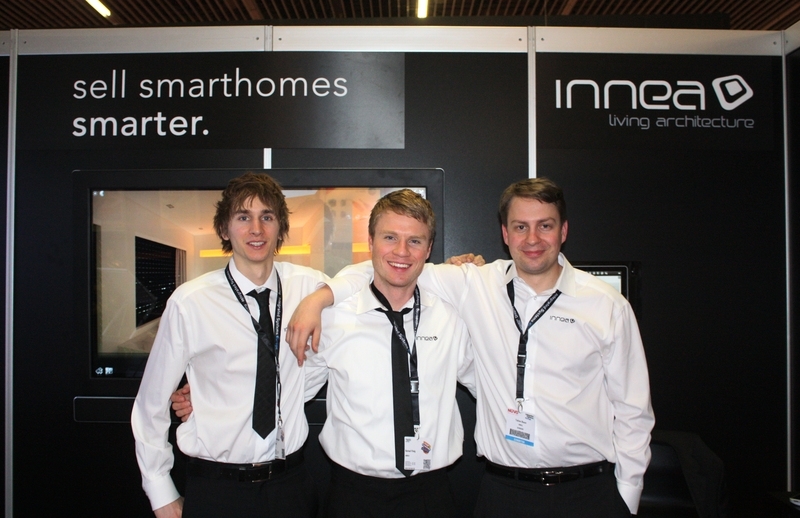 Thank you to everyone who stopped by our booth at ISE Amsterdam! 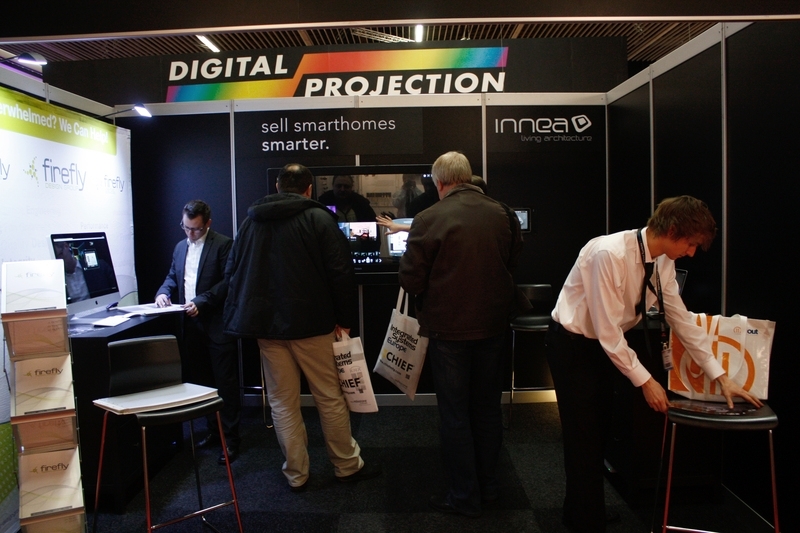 The show was great and the feedback on our software very positive. 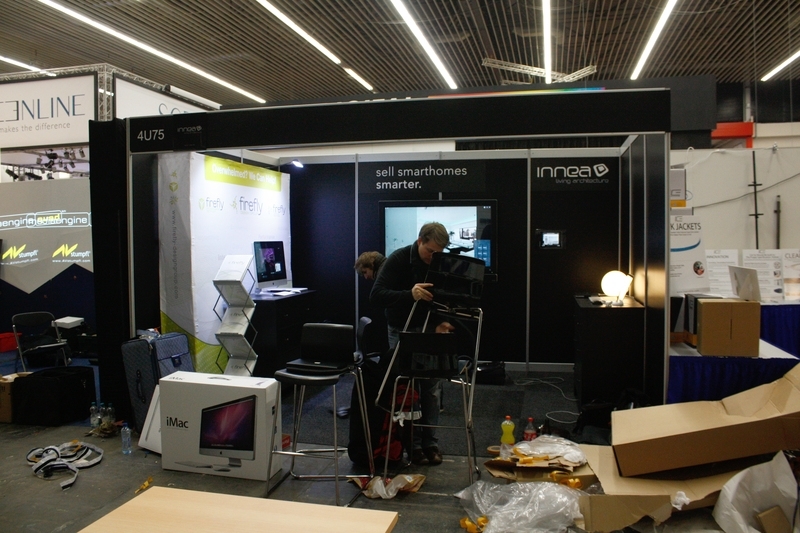 If you didn’t get a chance to be there, you can have a look at the pictures on the right showing our booth. 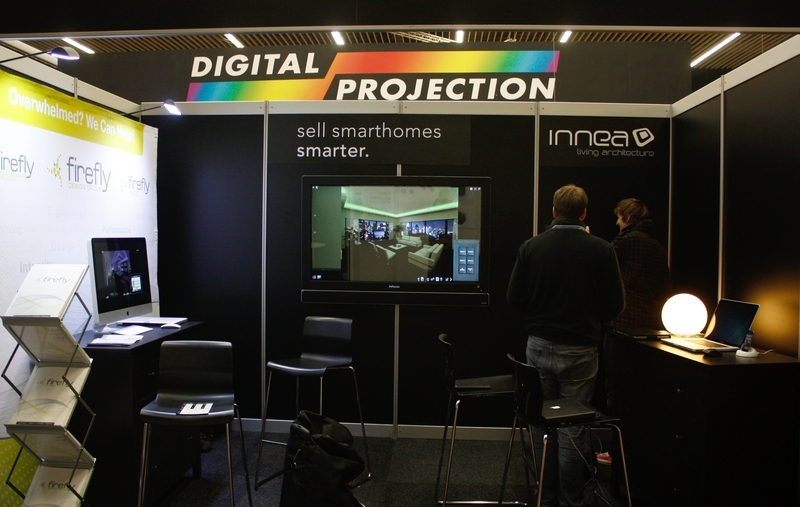 For the first time we showcased the iPad connect app with a wall mounted iRoom Station, connected to the innea apartment running on the brand new Mondo Pad. 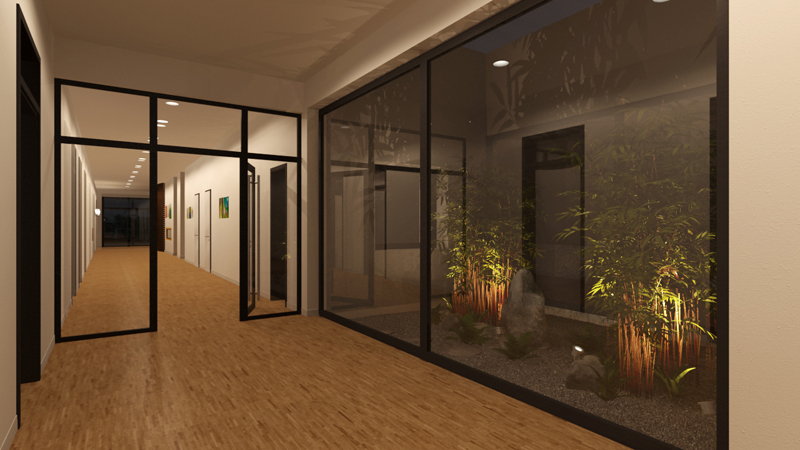 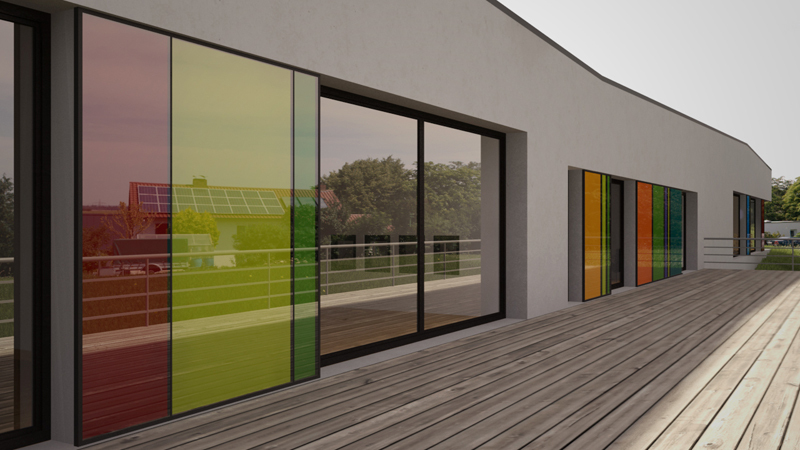 It’s a good impression on how your own showroom with an integrated innea apartment could look like! 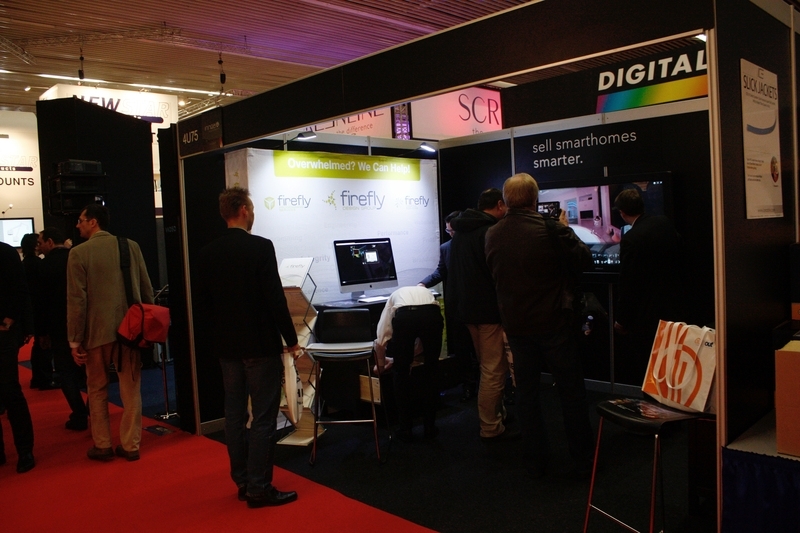 We were also glad to have One Firefly on our booth. 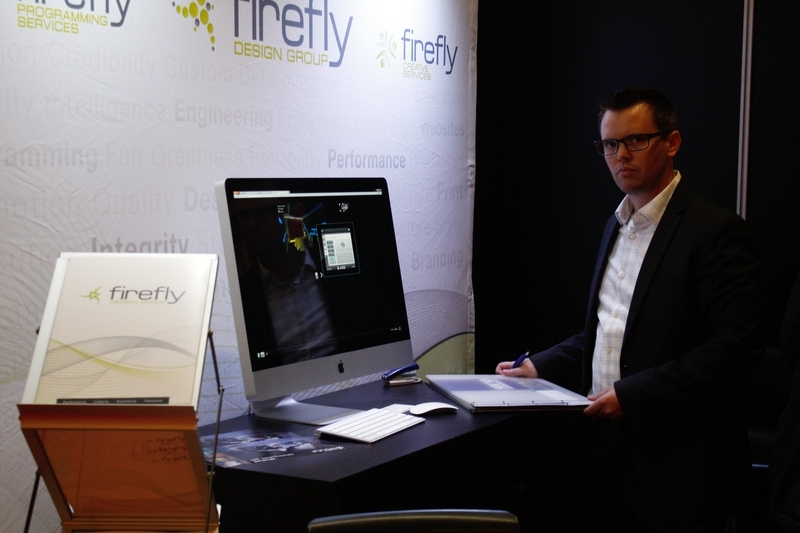 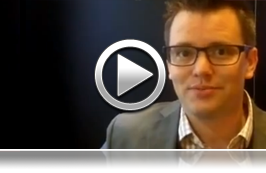 For an interview with Ron Callis at One Firefly – our US Master Distributor – check out this video made by ravepubs! 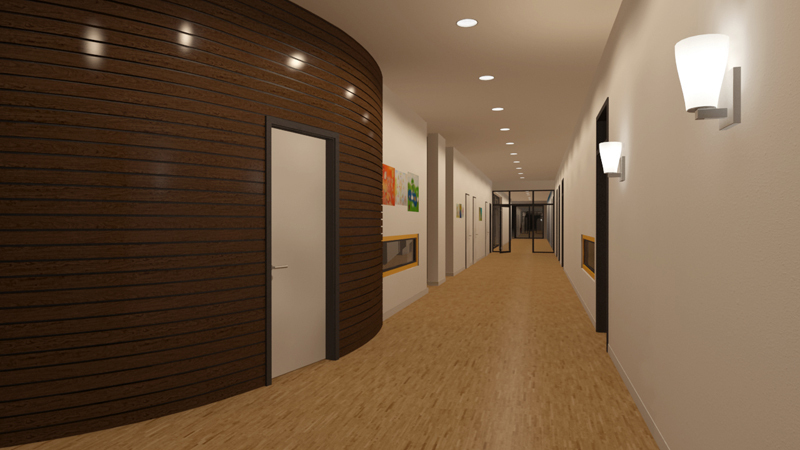 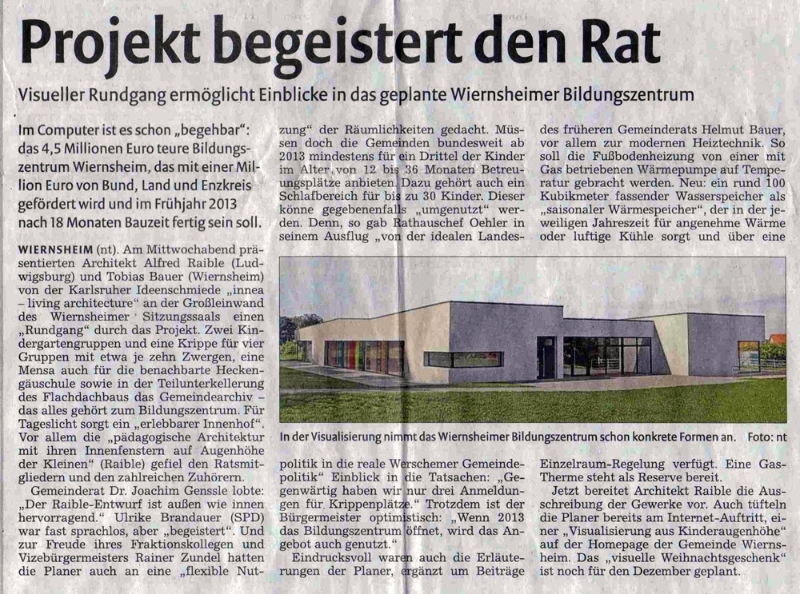 The commune of Wiernsheim was excited about the look of their education centre which is going to be build next year. 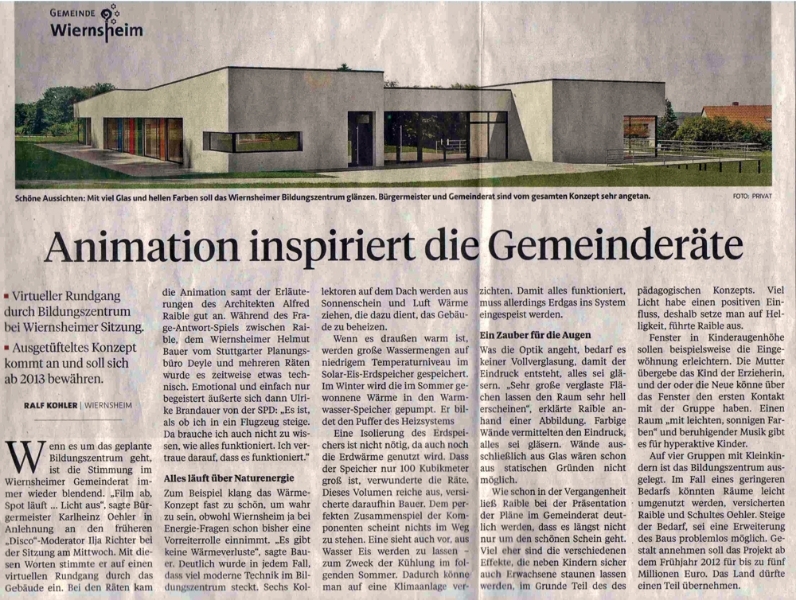 The first official announcement about the construction of their education centre – the mayor of Wiernsheim fired the audience´s enthusiasm with our visualisation! 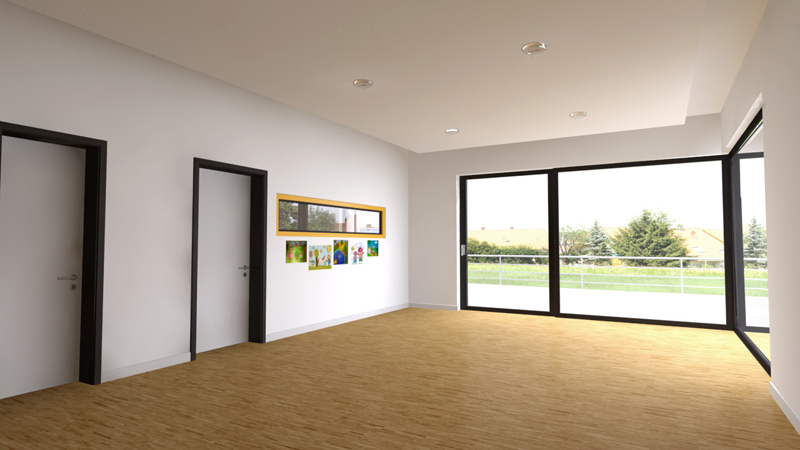 Without confusing blueprints or drawings, he could demonstrate very easily his intension. 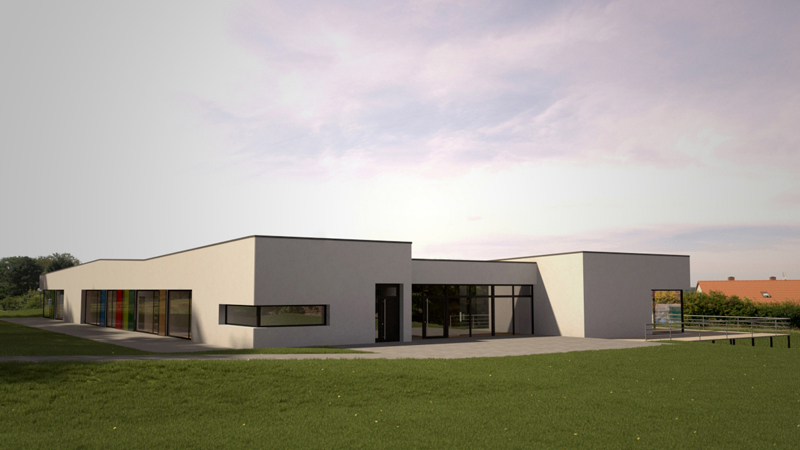 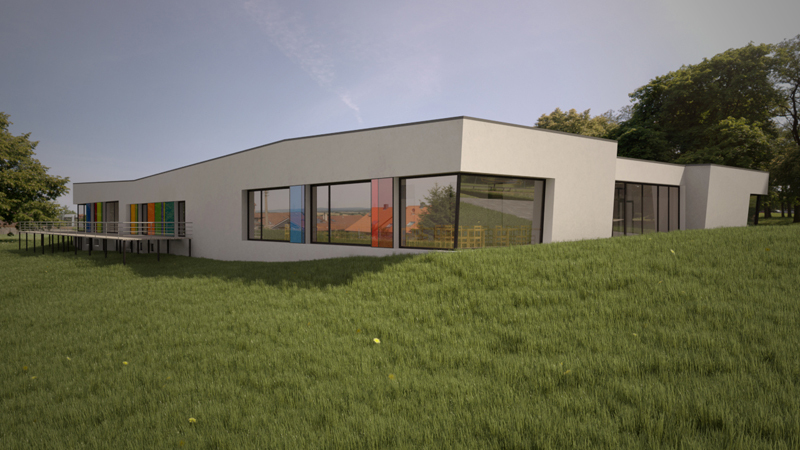 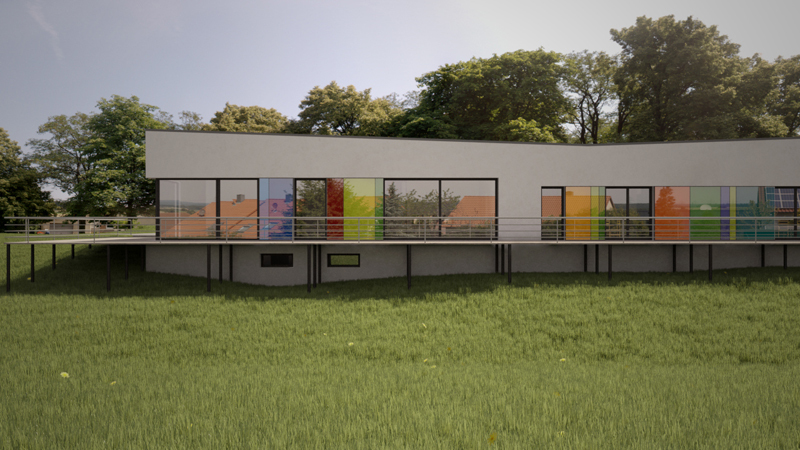 Questions like: “Is it already built?” represent the convincing photorealism of our 3d design.